Deoksu Palace is located in Seoul, capital city of South Korea. Among the royal palaces in Seoul city, Deoksu Palace is the smallest. 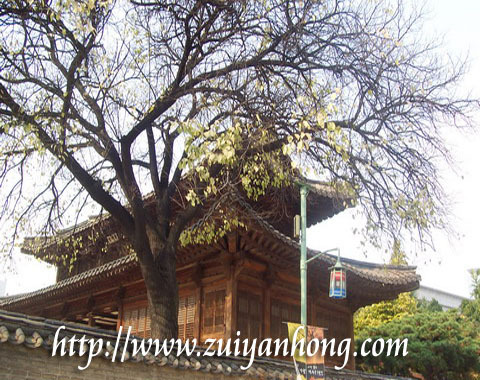 This small royal palace has become one of the Seoul City Daily Tour destinations for tourists. Chunghwamun is the gate entrance to the Chunghwajeon (throne hall) of Deoksu Palace. 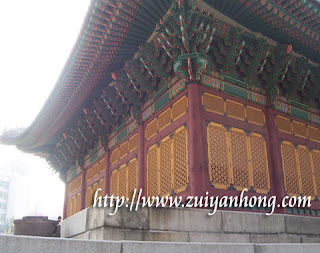 The traditional Korean building structure of the Chunghwamun is really impressive. Chunghwajeon is situated at the center of Deoksu Palace. It was the location for holding royal ceremonies by the rulers of Joseon Dynasty. The kings of Joseon Dynasty met their officials at Chunghwajeon during royal ceremonies. The modern buildings built within the compound of the palace are annexes of the Museum of Modern Art. Visitors can see classical works of modern art in this museum. The unique traditional architecture of the Deoksu Palace is a sharp contrast with the modern skyscrapers of Seoul city. Lovers of culture, history and architecture should list Deoksu Palace as a visiting destination when come to Seoul. I wish you the best in 2007. Yes, it's a popular tourist attraction in Seoul.